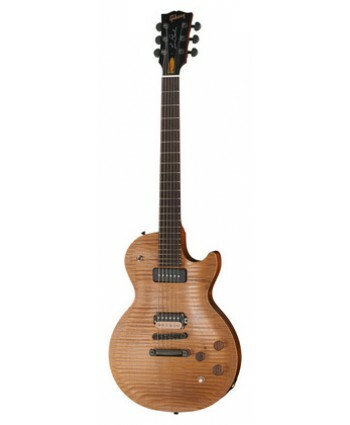 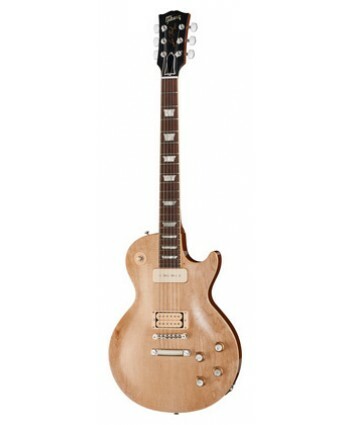 Gibson BFG Les Paul TGD - mahogany body (chambered weight relief), maple top (unsanded carved top), mahogany neck, 1950 profile, rosewood fingerboard, 22x frets, 1x Burstbucker 3 (bridge) and 1x P90 (neck) pickups, includes case. 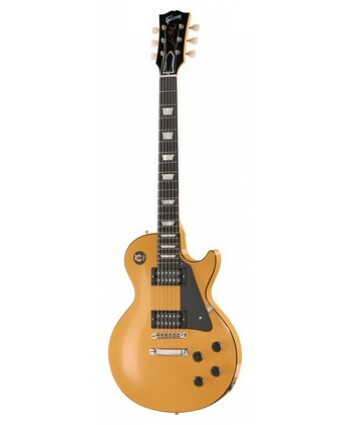 Colour: Translucent Gold, SIGNED BY LES PAUL..
Gibson Les Paul 57 Candy Apple Blue Gloss, Custom Shop E-Guitar, Les Paul 1957, curved Maple Top, Mahogany Body, one piece mahogany neck, onepice rosewood fretboard, hot glued, Historic Trussrod Assembly (no tubing), 22 Frets,Trapez Inlays, early 50's neckprofile, Vintage Tuner, 2 x Custombucker AlNiCo III, Nickel Hardware, Farbe: Candy Apple Blue, incl.Custom Case, made in USA, serial n..
Gibson Les Paul 58 Aspen White VOS, Vintage Original Specs, Custom Shop E-Guitar, Les Paul 1958, curved Maple Top, Mahogany Body, one piece mahogany neck, onepice rosewood fretboard, hot glued, Historic Trussrod Assembly (no tubing), 22 Frets,Trapez Inlays, early 50's neckprofile, Kluson Deluxe Tuner, 2 x Custombucker AlNiCo III without cover, Nickel Hardware, Farbe: Aspen White, incl.Cu..
Gibson Les Paul 59 BB VOS, Vintage Original Specs, Custom Shop E-Guitar, curved Maple Top, Mahogany Body, one piece thomann mahogany neck, onepice rosewood fretboard, hot glued, aniline dye back, Historic Trussrod Assembly (no tubing), 22 Frets,Trapez Inlays, early 50's neckprofile, Vintage Tuner, 2 x Custombucker AlNiCo III, Nickel Hardware, Farbe: Bourbon Burst, incl.Custom Case, made in USA, se..
Gibson Les Paul Custom 3 PU Wine Red VOS, custom shop, electric guitar - mahogany body, maple top, mahogany neck, split diamond headstock inlay, richlite fretboard, pearloid block inlays, 3x '57 Classic humbucker pickups, ABR-1 bridge, Gold hardware. 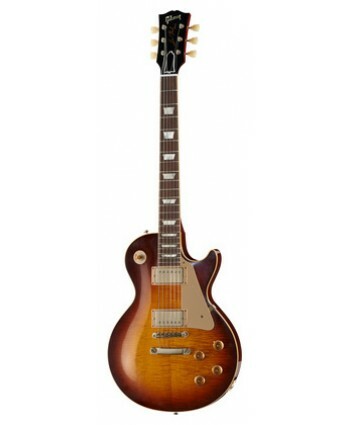 Includes case and certificate of authenticity. Colour: Wine Red, serial number: CS404619, weight: 4,32 kg..